What types of ankle injuries are there? • The tibia, or shinbone. 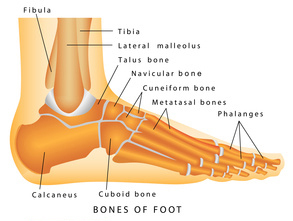 • The fibula, the thinner of the two lower leg bones. • The talus, which is a small, wedge shaped bone that is located deep in the ankle and supports both the tibia and the fibula. How can sprained ankles or broken ankles occur? Running sport injury – twisted broken ankle. Female athlete runner touching foot in pain due to sprained ankle. • A heavy item falling on your ankle joint. What are the symptoms of a broken ankle? In some cases, a small fracture or break won’t initially stop you from going about your daily activities, but it is important to note that delaying diagnosis and treatment could cause a smaller break or fracture to develop into a more major break or fracture over time. Even a broken ankle can feel the same as a severe ankle sprain, so it is very important that every ankle injury be evaluated and that you seek medical attention quickly. How are broken ankles & ankle fractures diagnosed? In addition, a non-steroidal, anti-inflammatory drug or aspirin may be useful for immediate pain relief as well as reducing swelling. When using pain relievers, always follow the directions on the product label, listen to your physician, and remember to ask before using if you have any other medical conditions or are taking other medications or supplements. 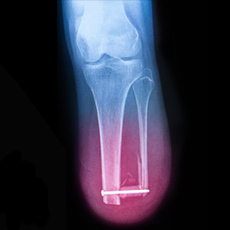 • X-rays are the most commonly used imaging technique and offer a high degree of success in diagnosing ankle fractures. 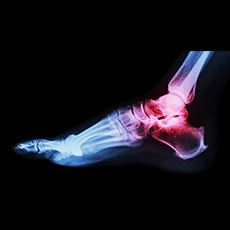 X-rays can tell if there is an ankle fracture, or if the joint is dislocated. X-rays will also determine the severity of the ankle fracture as well as if there are additional fractures in the leg or foot. 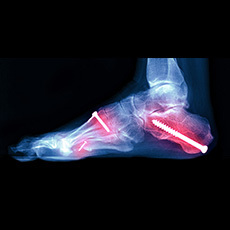 • Stress X-Rays are X-Rays that are done while the technician puts a certain amount of stress on the injured or fractured ankle to see if more specialized treatment is required. • A CT (CAT, Computed Tomography) scan produces a cross-sectional image of the ankle, ankle joint, and leg quickly and painlessly. A CT scan shows both hard and soft tissues. This makes it very helpful in diagnosing both ankle fractures that don’t show up on X-Rays as well as ankle sprains and ankle dislocations. • An MRI (Magnetic Resonance Imaging) scan creates high-resolution pictures of the bones, soft tissue and ligaments in your leg. If the X-Ray or CT scan shows damage to the soft tissue or ligaments an MRI may be done. What are broken ankle treatment options? After your break or fracture has been fully diagnosed, you will receive a treatment plan. Your ankle injury treatment plan will depend on the type and severity of your injury, and due to this, broken ankle recovery time can range from 6 weeks, to 12 weeks and longer. Your physician will recommend the best treatment for you and your type of ankle fracture, so be sure to follow their advice and guidelines. You may also have x-rays done of your ankle while your ankle fracture heals to make sure that it is healing properly. If you have extensive damage, your broken ankle can only be treated with surgery. Some surgeries will need to be done right away to make sure the bones are repaired quickly, but other times, the surgeon may place you in a splint and wait several days for the swelling to go down before they do the surgery. If your ankle fracture is not dislocated, and your doctor deems your ankle stable, you may be treated non-surgically. There are several different ways to treat a broken ankle non-surgically so that it heals correctly. These range from an ankle brace, aircast, walking boot, to a fiberglass cast and usually includes orders to not put any weight on your injured ankle, or being non-weight bearing, for six weeks or more. Whether your ankle fracture is treated surgically or non-surgically, your physician will determine when you can begin to walk on the leg again with crutches or a non-weight bearing device, depending on how well your bones are healing. What can I expect during my broken ankle recovery? • Traditional crutches are one option for ankle fractures. They will allow you to walk while holding your fractured ankle up, and you must also use both hands to operate them. This may be difficult for anyone with poor balance, while trying to navigate your workplace, or while caring for children, or any other common activity. Because of these limitations, patients often begin walking on the fractured ankle far too soon, which can cause serious complications to the fracture while healing. 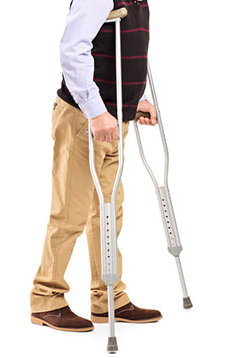 Crutches may also cause pain in the arms and hands, or cause falls if not used correctly. Also, crutches will not allow you to keep your injured ankle partially elevated, which is often prescribed by physicians. 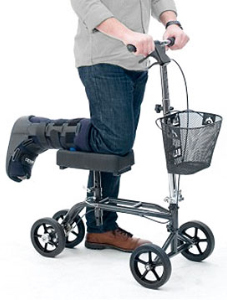 • A knee scooter or knee walker is another option while recovering from an ankle fracture. They may be more efficient than crutches and require less upper body strength, but can still be quite restricting when performing your daily activities. Along with needing both hands to operate a knee scooter, you cannot use them on stairs, in small areas, on slopes, or uneven terrain. 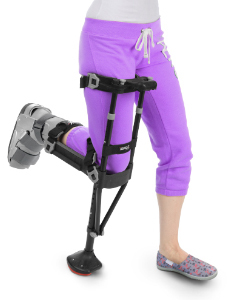 • The hands free crutch provides a non-weight bearing option for your ankle fracture. The iWALK2.0 allows you to continue your daily activities hands-free. You gently kneel on the iWALK2.0 knee platform, and with the straps secured properly the device becomes an extension of your natural leg, functioning like your own leg would without the ankle fracture. The iWALK2.0 hands free crutch allows you to easily maneuver in places that other devices create challenges; up and down stairs, on uneven terrain, in small areas, and on sloping ground, in fact, you can even use the iWALK2.0 in the shower! To learn more about the iWALK2.0, click here. After your physician has determined that your broken ankle and injuries have healed sufficiently, you will then wean off the non-weight bearing device that worked best for you, and begin to resume your normal activities. In addition, they may prescribe physical therapy for your ankle to help you regain your full range of movement, and it may still take up to a year for you to feel completely healed and back to normal after injuries resulting in an ankle fracture. Is there additional information about ankle fractures and broken ankles? • Do I have to have surgery and what are the risks? • How long before I can go back to work? • Will any of my lifestyle conditions or medical conditions put me at risk for longer healing time? • Do I have osteoporosis (low bone density)? • When will I be able to start walking on my leg again? • How long before I can get back to my regular activities? As discussed, every case of a fractured ankle and ankle injury is different, but if you’re an active participant in your own broken ankle recovery you will find ways to stay positive while your fracture heals. Follow your treatment plan closely, and to help your broken ankle recovery time, remember to always rest when needed, and find the best non-weight bearing device so that you can regain mobility and independence while taking care of your fractured ankle in the best way possible. Injuries can range from a fracture, or a break, in one or more of the bones. Ankle sprains (a muscle or tendon that has been stretched past its normal range of motion ) are also possible. These injuries can occur due to a trauma or over use, are quite painful, and require medical diagnosis, treatment and rehabilitation to get back into your usual active lifestyle.